This is the testimony of a young woman who was healed of cerebral palsy through prayer in Jesus' name after she received a vision from God. Her body movements straightened out, she was able to walk and her vision was corrected. She lives a happy, vital life today and praises Jesus for her healing. When she was 25 years old, in 1987, gospel singer Delia Knox was paralyzed from the waist down when she was hit by a drunk driver. In August 2010, she was miraculously healed in the name of Jesus at the Bay of the Holy Spirit revival meeting in Mobile, AL. Here is the meeting where her healing began to come forth. Recently, she returned to the Bay of the Holy Spirit Revival and walk on stage to sing her praise to God. Did Miracles Cease After The Last Apostle Died? Were Miracles Meant Only to Authenticate the Apostles? Christ’s Miracles: Were They Meant Only to Prove His Deity? TROY J. EDWARDS is the founder and senior pastor of Victorious Word Christian Fellowship in Central Falls, Rhode Island. VWCF is a thriving fellowship committed to evangelism and biblical teaching. He is the author of several books and publisher and editor of Victorious Word Magazine. Dozens of books have been written about the Azusa Street Revival as authors have attempted to understand and recapture this profound, supernatural event. However, the effort to glean meaning from what happened 100 years ago often leads to frustration and despair as authors seek to distill true history from myth and legend. Eddie Hyatt went straight to the source for answers. Not satisfied with what others have gleaned, Hyatt mined The Apostolic Faith, the official publication of the Azusa Street Revival. Thirteen issues of The Apostolic Faith were printed and sent around the world as the Pentecostal Fire spread abroad. 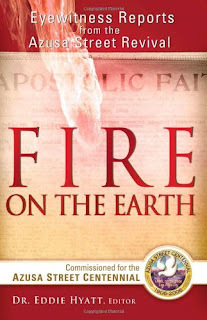 Fire on the Earth contains selected excerpts from these papers, shedding light on the events surrounding this major outpouring of God. Dr. Eddie Hyatt is a church historian, teacher, Bible school director, professor of theology, and ordained minister with more than twenty-five years of ministerial experience in the United States, Canada, India, and Eastern Europe. He holds a doctorate of ministry from Regent University as well as a master of divinity and a master of arts from Oral Roberts University, where he also taught in the School of Theology. He is the author of the acclaimed book 2000 Years of Charismatic Christianity. His articles on revival have been published in periodicals in both the United States and Canada. For other resources on the Azusa Street Revival, see Azusa Street Project and Shekinah Glory, Holy Fire and Miraculous Healing. In this 3-part series, John Wimber teaches on the gifts of the Holy Spirit. I was awake. There had been no transition between sleep and being fully, startlingly awake. Quietly, so as not to disturb Tib [Elizabeth], I propped my pillow against the headboard of the bed and sat up. In the pre-dawn light I could just make out the bureau in the corner of the room. The picture was in black and white. It was of a group of people — Len LeSourd was there, and Len's wife, Catherine Marshall, Tib and I and some others I could not identify. We were all studying a pile of books spread out on a conference table. A block of copy said that this group of people had worked together for years, writing and editing Christian articles. Now they had banded together to do the same with books. The vision was over. I could not get back to sleep so I went downstairs and made coffee ... I was excited but was also stunned, full of fear and misgivings. I knew nothing at all about business, still less about book publishing; what did all this mean? So I took the plunge and spoke to Len LeSourd. I told him about the vision and asked if he and Catherine would consider joining us. God has always spoken to His people in dreams and visions — and still does! Yesterday, I watched A Man Called Peter, the story of famed preacher, Peter Marshall, who pastored New York Avenue Presbyterian Church in Washington, DC and served for two years as chaplain of the US Senate. 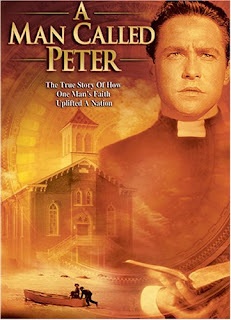 The movie is based on the book, A Man Called Peter, written by his wife, Catherine Marshall. 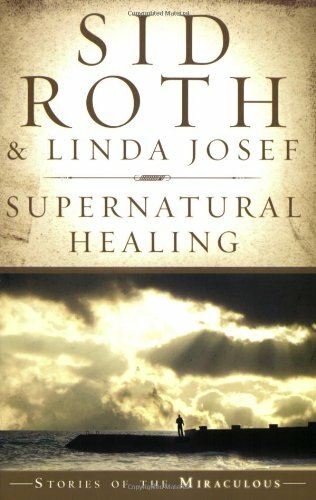 In the book and the movie, she tells how she was miraculously healed from tuberculosis through faith in the goodness of God. Peter Marshall died of a heart attack in 1949 at the age of 47. In 1959, Catherine married Leonard LeSourd, editor of Guideposts, an inspirational magazine. In 1971,Catherine and Leonard, along with John and Elizabeth Sherrill, formed a new publishing house, Chosen Books, which has featured many books about the miracles and manifestations of the Holy Spirit in the Church today. Catherine Marshall is also the author of Christy, the best selling story base on the life of her mother, a woman of strong faith and a missionary spirit. This book tells of numerous lesser known revivals as well as many of the better known ones. It also gives many testimonies of miracles and manifestations of the Holy Spirit that took place in those revivals, including healings, visions, revelations and "words of knowledge" and even raising the dead. It is a solid history of revival in the Church from the 18th through 20th centuries. This is the 2nd edition (2009), updated and enlarged, which contains recent accounts of revivals in the 21st Century, especially community and ecological transformation in the South Pacific, as well as the original survey of major revivals in the last 300 years. Using eyewitness accounts, Geoff Waugh takes you inside the hearts and minds of people in revivals spanning the last three centuries. Beginning with the Moravians in 1727, this book gives first person reports of revivals in Europe, America, Canada, Africa, India, Korea, Chile and more, including recent revivals." Dr Geoff Waugh, a Baptist minister, teaches on revivals in the degree program of the Christian Outreach Centre School of Ministries in Brisbane, Australia. He has served as a missionary teacher in Bible Schools in Papua New Guinea. I know of no other book like this one that provides rapid-fire, easy-to-read, factual literary snapshots of virtually every well-known revival since Pentecost. As I read this book, I was thrilled to see how God has been so mightily at work in so many different times and places. I felt like I had grasped the overall picture of revival for the first time, and I was moved to pray that God, indeed, would allow me not to be just an observer, but rather a literal participant in the worldwide outpouring that will soon come. As you read the book, I am sure you will be saying the same thing. What a goldmine of inspiring details! Readers may have heard of some of the revivals described in this book, but Geoff Waugh's comprehensive and up-to-date book provides a global perspective of the unexpected and transforming work of the Holy Spirit around the globe from the 18th century to today. 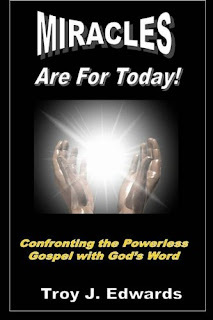 Read, be inspired and encouraged - and open to ways in which the Spirit 'blows where he wills'. The first time I read this book, I couldn't put it down. Not only were the stories researched with clear and concise data, but they provide an account of revivals that blew my mind away. As a person interested in seeing the winds of the Spirit blow in our churches and communities, I was truly impacted reading through history's mighty revivals. Dr. Waugh's simple yet provoking stories of men and women who dared make a difference and in being available for God was used mightily, is but a true story of this humble man of God whom I have had the privilege of working alongside following the revival winds in the Pacific. Once you read this book, you will not want to put it down as the stories comes alive again, showing us the heart of a man whose passionate about revivals and seeing God move especially in our communities. Dr Waugh's book is a must read to all who are passionate about letting the Holy Spirit do his work in their lives, in their church and in their community. An inspirational read. This work of the Rev. Dr. Geoff Waugh is of great significance. In it he has provided a comprehensive overview of the major revivals during the last three centuries. What is particularly important is the way in which we are enabled, through Dr. Waugh's work, to see how God has acted in all kinds of ways, through unexpected people, in unexpected situations, to bring about revival. Geoff Waugh is respected for his integrity, his communication skills, and his passion for mission and renewal. Churches and Christians around the world will benefit greatly from this timely contribution. Flashpoints of Revival is a good overview of the major revivals that have taken place in history, especially more recent history. It will be a compendium for historians and others interested in the subject for a long time to come. I doubt if there is a resource quite like it for logical progression and comprehensive treatment. Flashpoints of Revival has brought many hours of interesting reading. It is very informative and up to date concerning revivals both past and present. I am confident that this book will be well received by many scholars and historians. Geoff Waugh has broken new ground by pulling together evidence of divine impacts on people in revival. He emphasises the place of prayer and repentance in our response to God's awesome sovereignty and might. This is a book which will inspire you and help you to persist until the earth is "filled with the knowledge of the glory of the Lord". 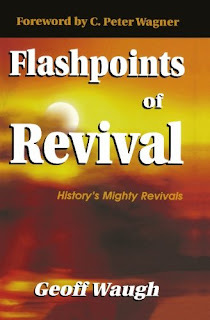 I read Flashpoints of Revival with much interest and enjoyment. The Revd Geoff Waugh has offered us a comprehensive account of spiritual renewal over the centuries. Whilst one of the truly great spiritual renewals has occurred in the latter half of the twentieth century, it finds its genesis in the Book of Acts. Amazing signs of God's power and love have occurred in the Christian communities which have been open to revival. Those communities have seen increasing membership. The churches which have closed their minds to charismatic renewal have seen decline in membership. I praise God for the Holy Spirit movement in our time. The Rev Dr Geoff Waugh is well able to write about the stories and experiences of revival. He has been a careful and sympathetic student of revival experiences in many parts of the world. In churches that need God's power for great tasks it is important that God's action in other places be studied. Geoff Waugh has made a crucial contribution to that task. I love learning about revival and this book adds to that hunger. Geoff Waugh, with great integrity and detailed research draws together much information that will inspire the reader. This is an extension of Geoff's many years of contribution in the area of renewal and revival as editor of the Renewal Journal. Geoff has initiated renewal activities in many denominations in Australia and has participated actively as a member in the growth of Gateway Baptist Church in Brisbane. Dr Geoff Waugh's work has a global relevance, which he has applied in the Australian context. As a fellow Australian I am appreciative. My appreciation is greatly enhanced by a deep respect and affection for the author. He is a competent teacher, an excellent communicator, an informed, disciplined renewalist and an experienced educator. All these qualities combine to commend the author and his work. Geoff Waugh places current outpourings of the Holy Spirit in historical context. In 1993 I said that this move of God would go round the world. It has. It is breaking out and touching millions of lives. Geoff's work helps us understand more about God's mighty work in our time. 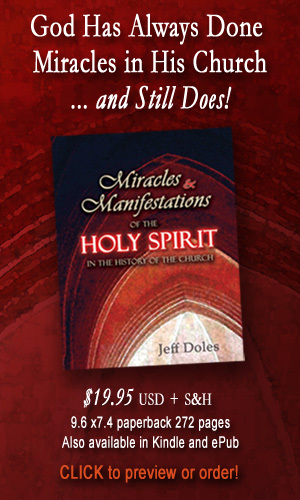 This exciting book is a powerful testimony of the Holy Spirit Revival Fire in action spanning the centuries from the 18th to the present day. Immediately engaging and easy to read, Geoff draws insights and keys that are not only relevant and pertinent from their day, but inspire our most earnest application. A "MUST READ" for all who crave REVIVAL in our time. Here is an amazing testimony about a Jason Upton concert. One of the musicians explains how the presence of God manifested and there was the sound of singing, a sound for which the musicians and sound engineers could not account except the harmonies of angels. Upton, who was not one to have ecstasies, was "drunk" in the Spirit. Here is the song, "Fly." Even if you are skeptical about the angels, the performance is very striking, and great for marinating in the presence of the Lord. The other day, while on a Google for something else, I came across this book about F. F. Bosworth. He was one of the founders of the Assemblies of God but soon became a part of the Christian and Missionary Alliance in the early 1900s. He quickly became known for his big tent and large auditorium revivals, and for his emphasis on divine healing. He and his brother, B. B. Bosworth, who was in healing ministry with him, saw many people miraculously healed. 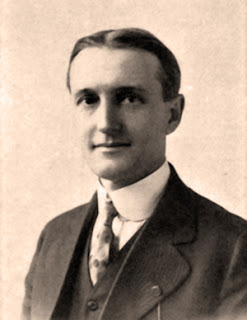 The story of his early ministry is told in Joybringer Bosworth by Eunice Perkins, published in 1921. You can read it at the link above, download it in PDF or EPUB. 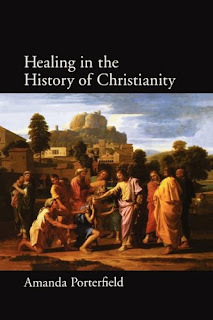 F. F. Bosworth is the author of the classic book on healing, Christ the Healer, which was first published in 1924, has gone through numerous editions and has since sold over 500,000 copies. It has recently been revised and expanded by his son, Robert V. Bosworth, and continues to minister to and bless many people today. Is healing really possible today? What was Paul's “thorn in the flesh”? How is a person supposed to receive healing? 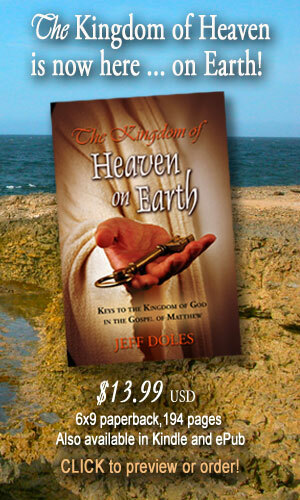 “Faith begins where the will of God is known,” says the author. By understanding God’s will for your healing, you can live in the fullness of your salvation in Christ — spirit and body. In this powerful book, Fr. 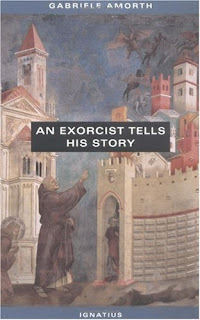 Gabriele Amorth, the renowned exorcist of Rome, tells of his many experiences in his ministry as an exorcist doing battle with Satan to relieve the great suffering of people in the grip of evil. The importance of the ministry to “expel demons” is clearly seen in the Gospels, from the actions of the Apostles, and from Church history. Fr. Amorth allows the reader to witness the activities of the exorcist, to experience what an exorcist sees and does. He also shows how real and powerful the devil is, and how his wicked and evil influence is so prevalent today in many people’s lives. He also reveals how little modern science, psychology, and medicine can do to help those under Satan's influence and that only the power of Christ can release them from this kind of mental, spiritual or physical suffering. 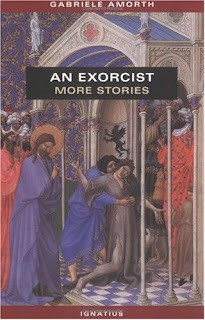 Since satanic sects, occultism, séances, fortune-tellers and astrologers are so widespread today, Father Amorth asks the question why is it so difficult today to find an exorcist, or a priest who is an expert in this field? The example and the teaching of Christ is very clear, as is the tradition of the Church. But today’s Catholics are often misinformed. In this book, Fr. Amorth supports his discourse with a rich exposition of recent facts. It is a valuable, practical and instructive manual for priests and lay people, on how to help many who are suffering. Each testimony consists of a miraculous event such as a healing, a word of knowledge, or an encounter with supernatural Love. As you read this book, you will not be able to avoid being challenged, entertained, encouraged, built up in your faith, and filled with desire for more of Jesus. God’s supernatural power transforms everyday people in surprisingly everyday places. Tyler Johnson also includes amazing visions that he has received from God. You will be drawn into truths about God — that He uses anyone anywhere who believes in His miraculous ways. Learning more about God through the power of these true-life stories brings your faith to life like never before. You will be challenged to pursue such supernatural events in your own life and step out in faith based on God’s promises in the Bible. A woman in a wheelchair felt heat in her leg during prayer and experienced a significant difference. Another woman was healed of arthritis pain in her knee. Another woman was healed of a nerve problem in her leg. After walking around the store a bit, she came back and said that the pain was gone. They prayed for a woman who was broken-hearted. They prayed for a young girl with cerebral palsy. She suddenly became excited and began doing sign language about Jesus. They prayed for one of the mother's of the group, and she experienced a significant healing in her hip. They prayed for a girl who had a partially torn MCL (medial collateral ligament, which is usually accompanied by pain, stiffness, swelling, and a sense that the knee will lock or give way). She took her brace off and was able to walk away without incident. God is still doing today what He has always done in His Church. Stanley H. Frodsham, in With Signs Following: The Story of the Pentecostal Revival in theTwentieth Century, writes of the outpouring of the Holy Spirit, with manifestations, all over the world. In the 1941 edition, after describing the Azusa Street revival, he records how it spread throughout the United States. About the same time, Pentecostal fires started to burn in Canada and the British Isles. Holy Spirit revival broke out in Norway, Denmark and Sweden. Frodsham tells also of Pentecost during the ’20s and ’30s in Germany, France, Switzerland, and Norway, all accompanied by signs and wonders. There were outpourings in China, India and Ceylon. Egypt also received a work of the Holy Spirit. South Africa and Mozambique experienced a renewal of the gifts; so did Central and West Africa. Central and South America also received powerful visitations of the Holy Spirit. Hawaii, Puerto Rico, the Philippines, the Fiji Islands and the West Indies were all touched, though Frodsham was not able to detail that as much as he would have liked; but he did manage to show more of how the Spirit manifested in Australia, New Zealand and the Dutch East Indies. He devotes a sizable chapter towards the end of his book to numerous accounts of the gift of tongues as an evangelistic sign to unbelievers. All these outpourings occurred within the first forty years of the twentieth century. Frodsham’s book is now out of print but, fortunately, you can still read much of it online. You can also find some used copies of it here at Amazon. Did John Calvin Speak in Tongues? Forasmuch as there has been much inquiry concerning the discovery at the Episcopal Divinity School, I feel obligated to shed what light that I can on the matter. After, all, molehills do have a way of being made into mountains, given enough discussion. Quite frankly, I personally find any notion preposterous, to the effect that Calvin experienced glossolalia. Therefore, the only logical thing to do is to take the advice of my dear Church History professor, and go to the primary source. The volume which allegedly contains the account of Calvin’s ecstatic utterances is in the library at the Episcopal Divinity School. 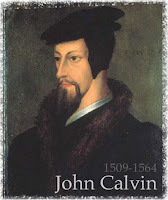 It is his biography by his friend and confidant, Theodore Beza, entitled De Vitam Iohannes Cauvin. It is contained in The Vault, the Rare Book Room at E.D.S. Entering The Vault involves a great deal of red tape, and the invocation of the higher powers of the B.T.I. Prof. Hiles’ dining-hall pass also came in handy. De Vitam Ihohannes Cauvin was published posthumously by Beza. All it contains concerning glossolalia is a small entry, confided to Beza by Calvin, shortly before the latter’s death. On several oc­casions, Calvin, in his devotions, found himself uttering a lingua non nota et cognota mini. That is, the language was not known or understood by him. Himself a skilled linguist, Calvin set about to discover the orthography of the utterance. Unable to trace it, he confided to Beza that although the language was Hebraic in character, he yet feared that he had spoken a lingua barbarorum. That is, he feared having spoken in an accursed tongue, such as what was spoken by the Canaanites. The matter was only a minor one to Beza, who allots it only a few sentences in De Vitam Iohannes Cauvin. Calvin’s concern was only a matter of linguistics. Therefore, there is not enough primary source material to build a case one way or the other. My roommate, Ken Macari, was most helpful to me in interpreting this passage from Beza, since Latin is more native to him than to me. Yet I must say, however, that I found Calvin’s Latin to be very smooth, elegant, and Vergilian. If John Calvin found himself on several devotional occasions speaking in a language he did not know or understand — well, that certainly sounds to me very much like speaking in tongues. Muslims Find Jesus Through Dreams and Visions! "Throughout the Muslim world men and women without knowledge of the gospel or contact with Christians have experienced dreams and visions of Jesus Christ. The reports of these supernatural occurrences often come from 'closed countries' where converting to Christianity can invoke the death sentence. Thousands of Muslims started following Jesus as a result of these dreams and visions. 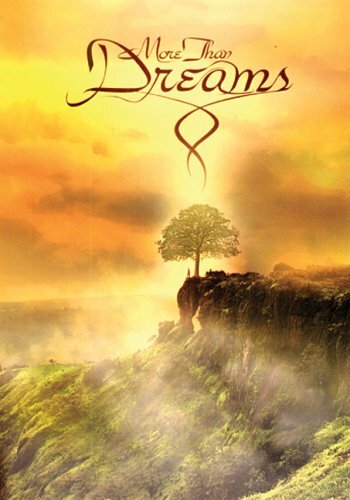 "Five of these moving and life-changing stories have been captured on the unique DVD 'More Than Dreams'. Every story of 35-40 minutes was researched on location, recreated in docu-drama format, and broadcasted on satellite television across the Middle East and North Africa. These testimonies are powerful, not just for Christians, but especially for Muslims! "Take Khalil, a radical Egyptian terrorist, who despised Christians and Jews. His heart was changed forever when the Savior appeared to him in a dream that penetrated his soul. Take Khosrow, a teenager in Iran, who saw Jesus extend his hand in a vision, an experience he describes as "waves of electricity flowed through my body over and over again. I wept for the first time since I was a child and joy filled my heart." Take Mohammed from northern Nigeria, who had seven dreams of Jesus and survived various attempts on his life, before leading his father to faith in Christ. Also the stories of Dini from Indonesia and Ali from Turkey (who encountered Jesus in Mecca) are powerful examples of God meeting people right where they are." Be sure to check out the customer reviews of this DVD at the link. One reviewer, from Thailand, testifies to a similar experience of how Jesus appeared to him in a dream, resulting in his conversion from Buddhism. Here is a clip from a recent outpouring at MorningStar Ministries, Fort Mill, SC. They called it the "Holy Ghost Hokey Pokey," and many people were healed from afflictions and pains in Jesus' name. Of course, this offends the wisdom of this world as well as the religious spirit. "But God has chosen the foolish things of the world to put to shame the wise, and God has chosen the weak things of the world to put to shame the things which are mighty" (1 Corinthians 1:27). A man who had pain in his knees for a couple of years (from jumping out of airplanes). A woman healed of back pain. A woman with back pain from scoliosis, totally healed of pain. A woman with neck and elbow pain from a car accident is healed. A man with pain in his left knee (from running) is healed. Another woman is healed from severe back pain.